The world of keywords and SEO was drastically altered when Google added the Hummingbird algorithm to their search engine in the Fall of 2013. 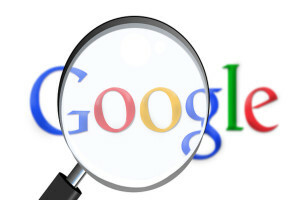 With this new addition to their search engine formula, Google stopped basing its search results on specific keywords and instead turned its focus to Semantic Search. Instead of finding results based on the exact words placed in Google’s search engine, Semantic Search studies the context and intention of the searched phrase and finds the most relevant results. This change is based on the advancement of search culture in current generations. People know exactly what they’re looking for and they’re going to search for just that. What does this mean for hoteliers who have been using standard keywords in blogs and on their websites? This means that the basic “hotel in (city)” keyword is no longer an effective formula. Travelers aren’t just searching for any hotel in a specific area anymore. They are searching for hotels that meet their specific desires. This forces hoteliers to recognize why people choose their hotel. What’s the draw: is it the surrounding area, restaurants, or attractions? Specific hotel amenities? Whatever it may be, hoteliers must begin to optimize their keywords to match semantic search. If people come to your hotel because it’s near a popular venue then your keyword you can use could be something like “hotel in (city) close to (popular venue).” With semantic search, no matter what order the traveler enters the words, Google’s algorithms will decipher their intent and match the context with the content of the site featuring your semantic phrase. For the best results, hoteliers should also focus on the content that complements the semantic key phrase on the webpage. Because context is so important to semantic search, the surrounding content must flow with the target phrases. This allows Google’s algorithm to understand the context of your information and relate it to the intent of the traveler’s search. Due to this change, keyword stuffing is no longer the most effective way to get a high search rank. This forces hoteliers and content marketers to create more organic and naturally flowing content instead of simply building a sentence for the purpose of keyword placement. The more natural, relevant, and seamless your content is, the more likely it will be found by Google’s Hummingbird algorithm to match a traveler’s search. Google’s semantic search algorithm has been around for nearly 2 years now and is steadily getting smarter. The plan is to present people with better targeted results based on specific needs instead of keyword density. It’s up to hoteliers and content marketers to create content that matches what their targeted audience is searching for. It all starts with the simple question, “Why do people want to stay in my hotel?” Once you figure that out, you are well your way to reaping the benefits of the semantic search.